Patellofemoral pain syndrome occurs when there is a degeneration of the patellar cartilage between both bone surfaces of the femur and the patella. Its characteristic symptom is anterior knee pain that worsens when this joint is moved. The aim of the study was to determine the effectiveness of kinesio taping on patellofemoral pain syndrome through the analysis of published scientific studies up until June 2014. A literature search was carried out in the following electronic databases: Scopus, Sport Discus, PEDro, Cochrane Library Plus, Embase, Web of Science and Science Direct to locate studies that were relevant to this review. Out of 159 articles examined, after eliminating duplicates and upon completion of reading them, the review was finally reduced to 12 articles. After reviewing the literature regarding the effectiveness of kinesio taping on the improvement of knee pain, we concluded there is insufficient scientific evidence to support this theory. It is an inexpensive technique that can be combined with other therapies and has no side effects, but there is controversy in the analyzed studies on its possible benefits on the patellofemoral pain syndrome. For this reason, it is essential to carry out further methodologically sound research regarding the usefulness of kinesio taping in the treatment of this syndrome. 1. Akbas E., Atay A.Ö., Yüksel Í. The effects of additional kinesio taping over exercise in the treatment of patellofemoral pain syndrome. Acta Orthopaedica et Traumatologica Turcica. 2011; 45 (5): 335–341. 2. Aytar A., Ozunlua N., Surenkok O., Baltacı G., Oztop P., Karatas M. Initial effects of kinesio taping in patients with patellofemoral pain syndrome: A randomized, double-blind study. Isokinetics and Exercise Science. 2011; 19: 135–142. 3. Bandyopadhyay A., Mahapatra D. 2012. Taping in sports: a brief update. Journal of Human Sport &amp; Exercise. 2012; 7 (2): 544–552. 4. Bassett K., Lingman S., Ellis R. The use and treatment efficacy of kinaesthetic taping for musculoskeletal conditions: a systematic review. NZ Journal of Physiotherapy. 2010; 38 (2): 56–62. 6. Benito P.J., Díaz V., Calderón F.J., Peinado A.B., Martín C., Álvarez M., Pérez J. La revisión bibliográfica sistemática en fisiología del ejercicio: recomendaciones prácticas. Revista Internacional de Ciencias del Deporte. 2007; 3 (6): 1–11. 7. Brateanu D. Kinesio Taping technique and Kinesio Tex. 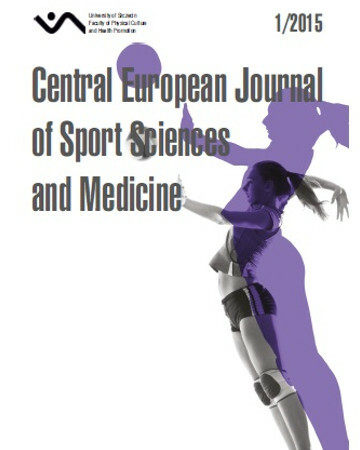 Timisoara Physical Education and Rehabilitation Journal. 2009; 2 (3): 36–40. 8. Calero P.A., Cañón G.A. Efectos del vendaje neuromuscular: una revisión bibliográfica. Revista Ciencias de la Salud. 2012; 10 (2): 273–284. 11. Chang L., Dong L., Hyun J., Moon L. The effects of kinesio taping on VMO and VL EMG activities during stair ascent and descent by persons with patellofemoral pain: a preliminary study. Journal of Physical Therapy Science. 2012; 24 (2): 153–156. 12. Chang-Mo Ch., Seong-No L., Gi-Duck P., Sa-Yup P., Sung-Duk Y. Effects of one-time kinesio balancing taping on pains, ROM and muscle power of degenerative osteoarthritis patients. The Korean Journal of Growth and Development. 2011; 19 (1): 57–62. 13. Chen P.L., Hong W.H., Lin C.H., Chen W.C. Biomechanics Effects of Kinesio Taping for Persons with Patellofemoral Pain Syndrome during Stair Climbing. Biomed. 2008; IFMBE Proceedings 21: 395–397. 15. Dutton R.A., Khadavi M.J., Fredericson M. Update on rehabilitation of patellofemoral pain. Current Sports Medicine Reports. 2014; 13 (3): 172–177. 16. Espejo L., Apolo M.D. Revisión bibliográfica de la efectividad del KT. Rehabilitación. 2011; 45 (2): 148–58. 17. Frade S. Bandas neuromusculares: qual a evidencia científica que suporta a sua ulitizacao? Revista Medicina Desportiva Informa. 2013; 4 (6): 19–22. 18. Freedman S., Thein L., Rosenthal M., Wise J. Short-term effects of patellar kinesio taping on pain and hip function in patients with patellofemoral pain syndrome. Sports Physical Therapy. 2014; 6 (4): 294–300. 19. Hassan B.S., Mockett S., Doherty M. Influence of elastic bandage on knee pain, propioception, and postural sway in subjects with knee osteoarthritis. Annals of the Rheumatic Diseases. 2002; 61: 24–28. 20. Hinman R.S., Bennell K.L, Crossley K.M., McConnell J. Immediate effects of adhesive tape on pain and disability in individuals with knee osteoarthritis. Rheumatology. 2003; 42 (7): 865–869. 21. Jancaitis G.A., Kelln B.M., Baker A.G., Ingersoll C.D., Hertel J. Short term effects of KT on symptoms of pain patellofemoral syndrome. Journal of Athletic Training. 2007; 42 (2): S135. 22. Kalron A., Bar S. A systematic review of the effectiveness of KT – fact or fashion?. European Journal of Physical and Rehabilitation Medicine. 2013; 49: 1–11. 23. Kase K., Wallis J., Kase T. Clinical Therapeutic Applications of the Kinesio Taping Method: 2nd Ed. Tokyo, Japan: Ken Ikai Co. 2003. 24. Kuru T., Yaliman A., Dereli E. Comparison of efficiency of Kinesio® taping and electrical stimulation in patients with patellofemoral pain syndrom. Acta Orthopaedica et Traumatologica Turcica. 2012; 46 (5): 385–392. 25. Méndez G., Gatica V., Cuevas D., Sánchez C. Efectos del KT en la Rehabilitación de pacientes con síndrome de dolor patelofemoral: una revisión sistemática. Fisioterapia. 2014; 36 (6): 280–287. 26. Miller J., Westrick R., Diebal A., Marks C., Gerber J.P. Immediate effects of lumbopelvic manipulation and lateral gluteal kinesio taping on unilateral patellofemoral pain syndrome: a pilot study. Sports Health. 2013; 5 (3): 214–219. 28. Mostafavifar M., Wertz J., Borchers J. A systematic review of the effectiveness of KT for musculoskeletal injury. The Physician and Sports Medicine. 2012; 4 (40): 33–40. 29. Osorio J.A., Vairo J.L., Rozea G.D., Bosha P.J., Millard R.L., Aukerman D.F., Sebastianelli W.J. The effects of two therapeutic patellofemoral taping techniques on strength, endurance and pain responses. Physical Therapy in Sport. 2013; 14 (4): 199–206. 30. Osterhues D. The use of KT in the management of traumatic patella dislocation: a case study. Physiotherapy Theory and Practice. 2004; 20: 267–270. 32. Smith T., McNamara I., Donell S. The contemporary management of anterior knee pain and patellofemoral instability. The Knee. 2013; 20 (S1): 3–15. 33. Yang L., Jiang J.L, Liang Q., Lei Z.J., He C.Q. The effect of elastic taping on patients with patellofemoral syndrome. Journal of Sichuan University. Medical science edition. 2014; 45 (1): 126–128.